Well, it has been more than 2 months – sorry for the delay oh faithful readers, but there is no better time to get back into this blog than during the NHL playoffs. They are well underway with the eyes of the 8 remaining teams set firmly on the Stanley Cup. I really enjoy sharing the stories of pro athletes who have chosen to live their lives following Jesus – but I really relish writing these articles when the players I write about are on my favorite team. 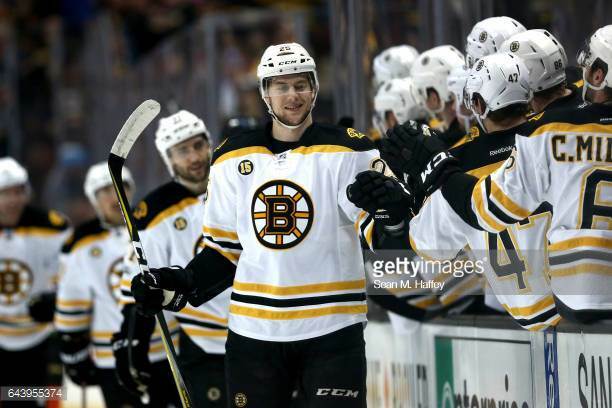 That is the case this time around as I put together a double feature of Boston Bruins defensemen in this post. However, the two men I write about tonight are not often seen in the playoffs this year. 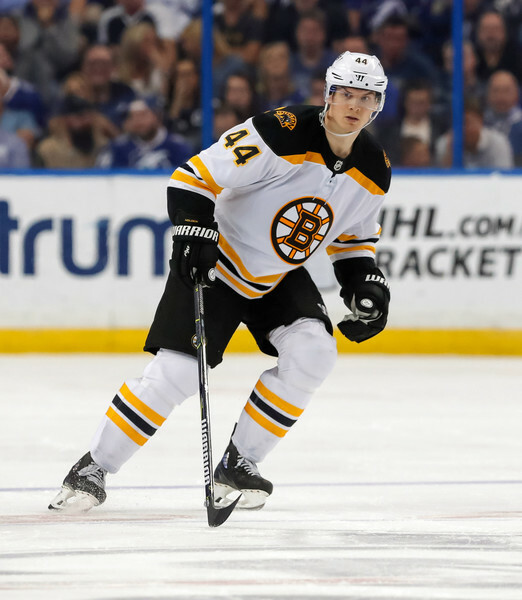 Nick Holden is playing a depth role for the Bruins – picking up an assist in the only game he has played thus far. He will fill in for an injured or slumping player as needed but so far, the Bruins are rolling and have only called on him the one time. Holden has played in one playoff game with the Bruins this season. Will it lead him and the Bruins to the top of the hockey world this year? That remains to be seen, but I feel like with Holden, he will be satisfied with whatever God brings his way. 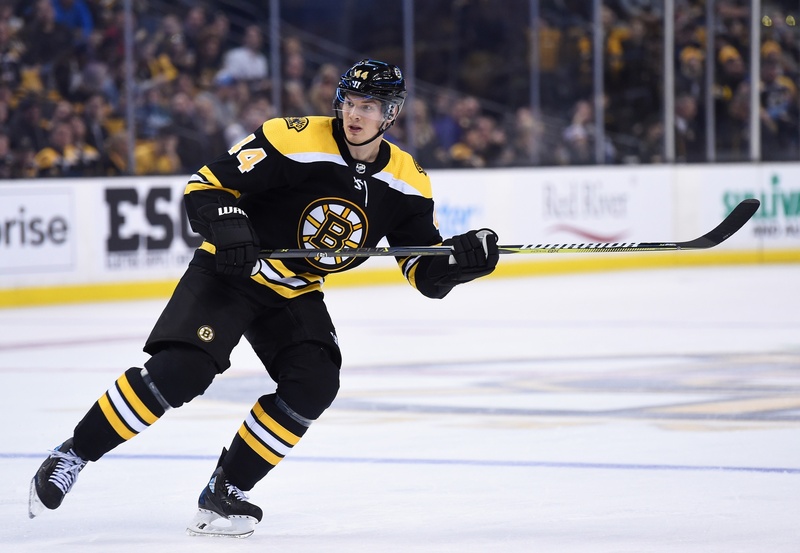 Ups and Downs – Brandon Carlo. Brandon Carlo was a rookie with the Bruins last year. He was a solid contributor, playing in all 82 games last season and in 76 this time around. He routinely played over 20 minutes a game and has 22 points in 158 career games. However, one missing item from Carlo’s resume is playoff hockey. Last season, despite playing all 82 games, he sat out the Bruins 6 game series against the Ottawa Senators with an injury. He was again a solid contributor this year, but suffered a broken ankle late in the season that again cost him the post season experience. 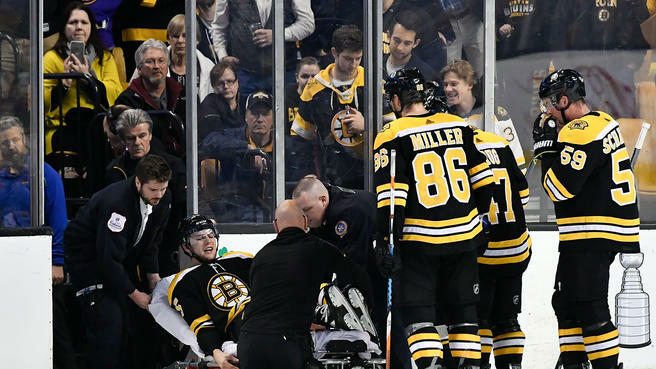 It was a terrible injury and the Bruins and Carlo’s fans (like me) are hoping and praying for a speedy and full recovery. And so as the playoffs continue to move towards the cup final, I hope the Bruins go along for the ride. But with both of these men that spent time on their blue line, their purpose is much more than a run for the cup. They are putting God first and trusting Him to control the things that are out of their control. Check out my facebook page this weekend for links to past stories I have written about players involved in these playoffs. Enjoy the great hockey that remains as we wait to see who will win the Stanley Cup this year.